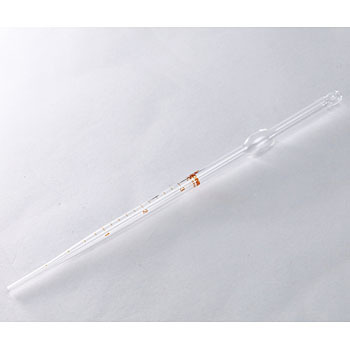 I like this pipette very much, easy to use and clear! Thank you. This review is about item#33456464. This review is about item#33456613. Because the tip opening is too large, it will spill if you leave it away from the liquid while holding the liquid. Normally good. There is a sense of security with a famous company. Since it is sold separately with rubber dropper, it is troublesome to search separately. This review is about item#33456507. It is convenient for fine formulation as the scale is attached in units of 0.1 ml. It is even better if the eyedropper was included. The product is good and weigh 1 ml and it is useful. I am using it for light weight painting solvent. The eyedropper is sold separately, but it was difficult to understand which eyedropper should be bought from the product screen. As for the inquiry, it is said that As One 's 20 - dropper eyedropper 33471094 fits. I use it in combination of this syringe, but I am satisfied well with ease of use. This review is about item#33456665. It can be used normally. Considering the price it can be said to be good products. Previously 20 mm was used, but 10 mm is bigger memory and easy to use.